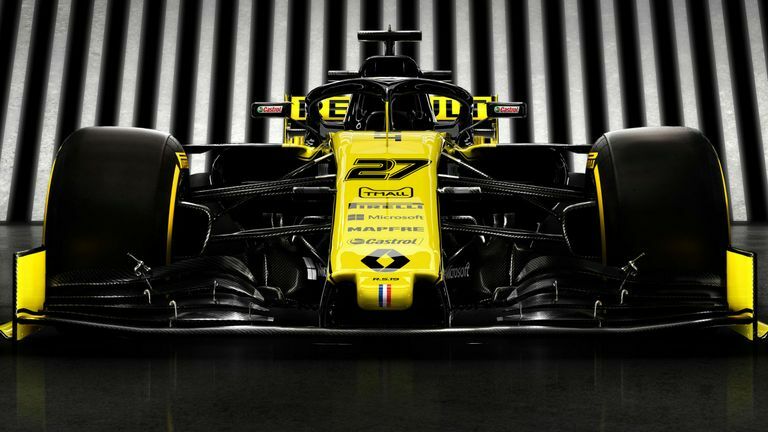 Renault unveil their new look and livery for the 2019 F1 season. "We want to be real contenders," said Renault Sport President Jerome Stoll as the RS19's colour scheme was revealed. 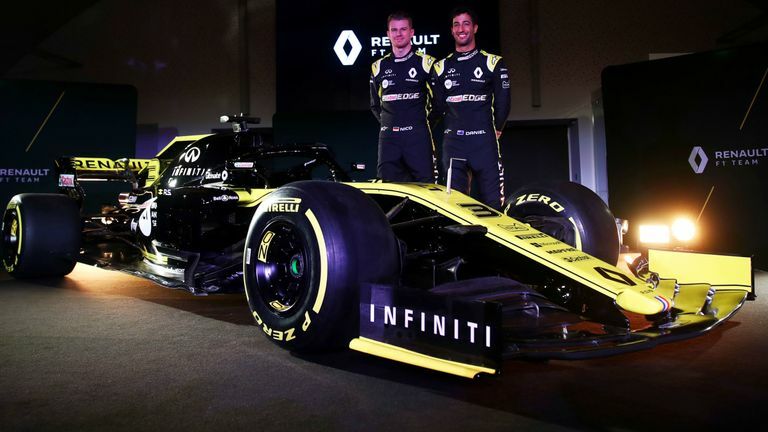 Key to the team's hopes will be new driver Daniel Ricciardo, a stellar new signing from Red Bull, along with the consistent Nico Hulkenberg, and both were at the team's Enstone factory for Renault's 2019 launch. The 2019 car will, however, only be seen for the first time when testing begins next week at Barcelona, with the team admitting the RS19 is still being built ahead of the February 18-21 test. Renault executive director Marcin Budkowski said the timeframe was "tight" to get the car ready for next week. Images of the RS19 were instead revealed online. How high can Renault climb in 2019? The French outfit secured their best constructors' finish since returning to the sport in 2016 last year, topping the midfield in fourth. "We want to fight for more. We want to reduce the gap to the frontrunners and target engine excellence," added team boss Cyril Abiteboul. The surprise capture of Ricciardo, the seven-time race-winner who chose not to extend his contract at Red Bull, would appear to prove Renault are making great strides. "I want to repay the faith the team have shown me," said Ricciardo. "There is a lot of hunger in the team." Neither the team, nor Ricciardo, are expecting miracles this season - a first podium for the Enstone outfit since 2015 is the target - but they will hope to kick on again, with the aim of becoming a championship contender by 2021. The team last won a race, then under the Lotus name, six years ago. "It's going to be really interesting and important to see how l get on against him," said Hulkenberg of his new team-mate. "It's important that we show good progress. Ultimately, l would love to have a car with Renault to challenge for podiums and wins. But for now, I'm just looking forward to getting the season started." Renault drivers Nico Hulkenberg and Daniel Ricciardo discuss their hopes for the new season. Renault's main task will be pushing on in the engine department to challenge Mercedes and Ferrari power, particularly after Red Bull decided they would be best-placed with Honda for 2019 and beyond. "We've had the best winter of the last five years," said engine boss Remi Taffin. Renault have made several key appointments behind the scenes in recent years and will once again be led by Cyril Abiteboul in 2019.